Website design construction supply companies | VISIONEFX provides web design in Norfolk, VA. 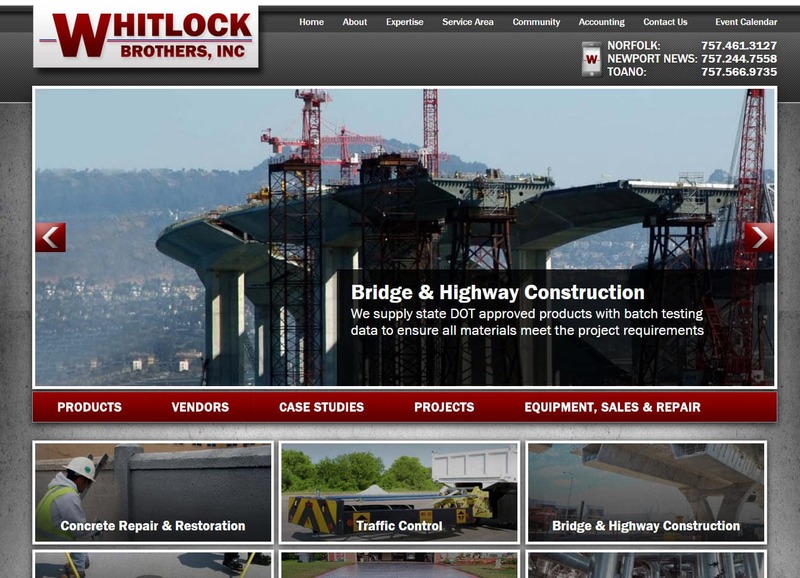 The team at Whitlock Brothers needed a company to handle day-to-day website maintenance. VISIONEFX also redesigned the website and continues to provide on-going website maintenance and training to Whitlock Brothers company. Whitlock Brothers is located in Norfolk, VA. When searching Website design company Norfolk VA look no further than the web design experts at VISIONEFX. VISIONEFX is a Web design company based in Virginia. We provide services to national companies as well as small to medium businesses throughout the United States to include; Custom web design, Web development, E-commerce web design, Word Press web design, Word Press Plugin customization, Joomla web development, SEO – search engine optimization and web maintenance services. Call VISONEFX at (757) 619-6456 or email direct to info@visionefx.net.